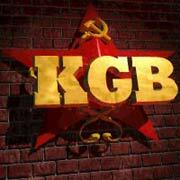 Seim of Latvia made a decision to declassify its KGB archives. Such decision to reveal the names of all former agents turned out to be quite unpleasant surprise for the head of the archive Center of Latvia Indulis Zalite. He thinks this might lead to negative consequences. Let us remind you that since 1994, Latvia's residents have a right to examine their personal file, in case such has ever been created. However, the information in the file can only be made public in case this person applies for a job in the field of social or legal services. In case in was discovered that someone had any connections with the KGB, he/she was automatically denied the position in the country. Today's decision means that all files that have ever been created for thousands of individuals will become open for everyone. Local analysts consider that all old secrets can turn into major political scandals as a result of such action. Head of the Center stated to BNS that the center of documentation of totalitarianism after-effects contains only a small portion of KGB archives. “Of 24 000 people that have been known as KGB agents for the last 50 years, we have information of only 4 000 of them,” stated he. Among them are people who really supplied KGB with information and who are guilty of many crimes against humanity; there are also those who helped KGB solve various economic crimes. Zalite also notes that it is impossible to provide feedback for every single individual mentioned in the KGB files. That is why it is possible that some of those people may suffer major consequences. It has not been decided yet what to do with names of the dead. According to Zalite, “imposing a ban on former KGB agents to get any governmental positions and be a candidate in an election campaign for 10 years is already a good punishment for the sins of the past. Making this information public today is unfair to all those people who simply played by the government's rules."